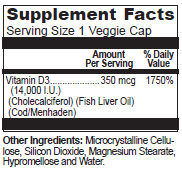 Optimal D3®M is a vitamin D3 supplement that contains 14,000 IU of cholecalciferol. Optimal D3®M provides the distinct dietary requirements to manage vitamin D deficiency and help maintain your vitamin D stores. 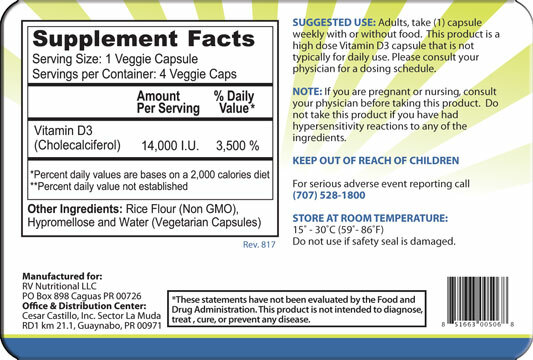 This product is intended for weekly use or as directed by a healthcare professional. The information has not been evaluated by the Food & Drug Administration. We do not claim to diagnose, treat, cure or prevent any illness or disease. You must consult your doctor before using any supplement, especially if you are pregnant, nursing, taking medication, or have a medical condition. Ferretts IPS Liquid Iron supplement, 8 fl.oz.